I recently had the need to quickly triage and hash several specific files within a case, but I did not want to (or possibly could not) run the "process evidence" option to generate hash values for *all* files. 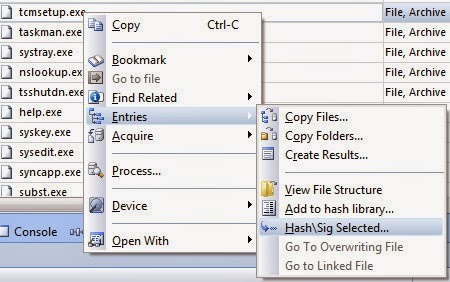 EnCase v7 has the ability to generate hash values of selected files through the right-click context menu->Entries->Hash/Sig Selected files. The downside to this option is that it requires you to close the "evidence" tab and then reopen it, causing you to lose your place/highlighted file. So I wanted a way to quickly generate the MD5 & SHA1 hash so that I could paste to VirusTotal or use it in some other manner without having to process the entire evidence file and/or reload the evidence tab. 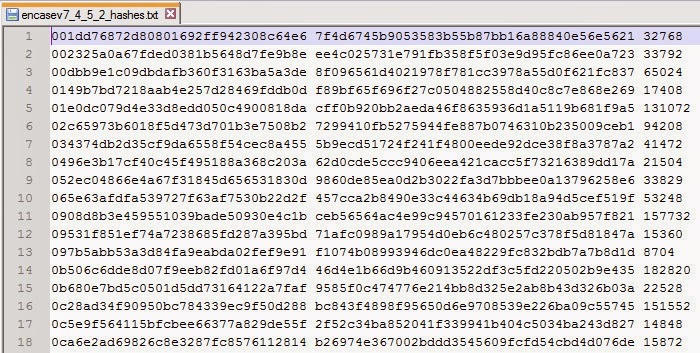 This EnScript will compute the MD5/SHA1 hash value and entropy of each selected (blue checked) file. Due to the way EnCase v7 handles "selected" files now, you must be in the "evidence" tab, select the files you want to process wih the EnScript, then run the EnScript. If you select the files and move to another tab, then run the EnScript, it will not work. This allows you to quickly generate a hash value and do something with it (copy & paste) without losing your current view state. 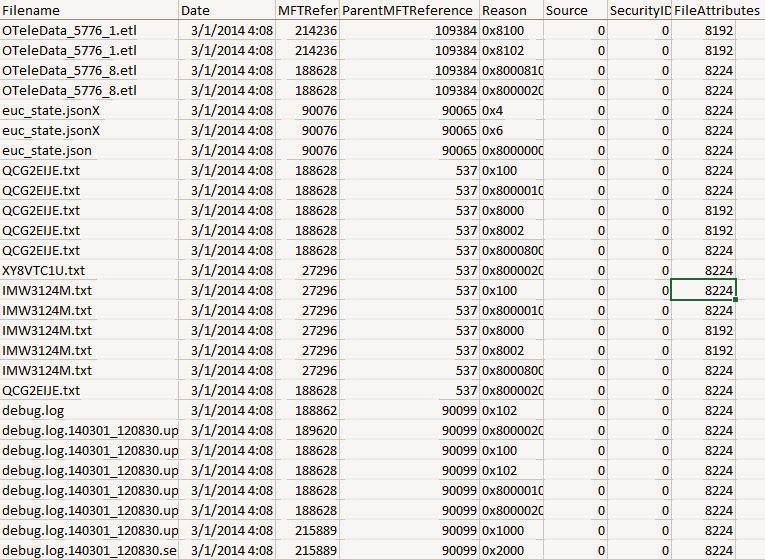 This EnScript is another "quick hit" to parse out all the recently accessed files recorded in the user's NTUSER.DAT. 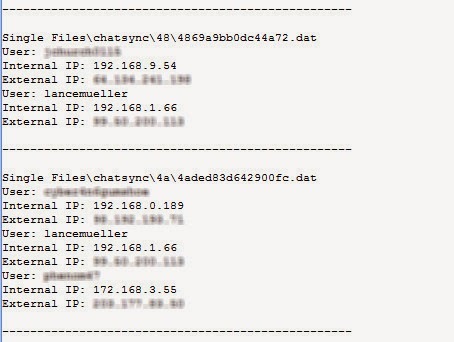 This EnScript was designed as a "quick hit" to parse and show the MRU values for the Terminal server client for each user. 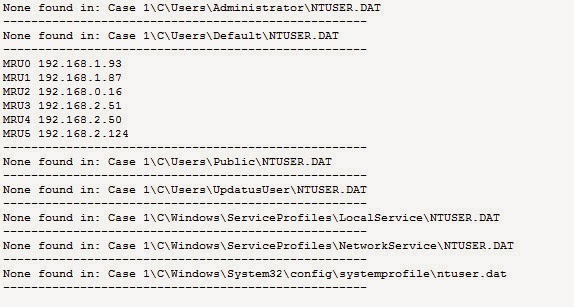 The EnScript checks the Software\Microsoft\Terminal Server Client\Default for each NTUSER.DAT and displays/bookmarks any values. *The link below has been updated to an EnScript that can be run in either v6 & v7. This EnScript is an update to one I did several years ago for extracting wireless network information on Windows XP systems. 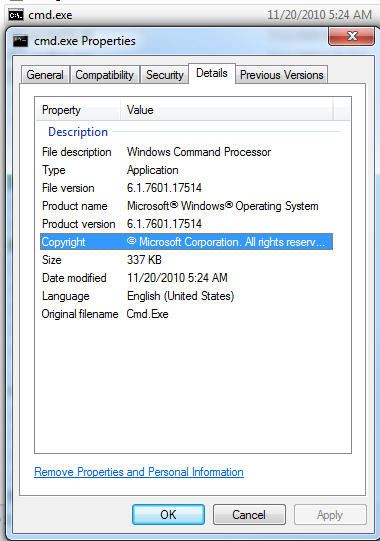 This EnScript supports Windows Vista, Windows 7 & 8. When run, it will search for any SOFTWARE registry hives (Single Files are supported) and extract some useful information and display it in the console as well as make a bookmark. Carlos Cajigas and I were recently having dinner and talking over some EnScript ideas. He recommended an EnScript to search for prefetch data in unallocated and then if found, to parse it for some basic data. Prefetch data can be very useful when handling employee misconduct, criminal and malware cases, so I agreed to write one and name it the "losprefetcher" ;). 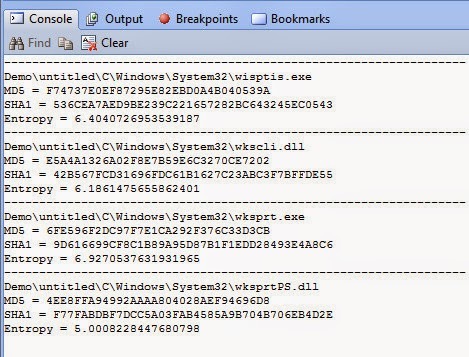 It's hard to believe its been almost six years since I wrote the original EnCase v6 EnScript to parse the $USNJRNL file for Windows XP (when enabled), just as Vista was hitting the scene. Here is the original post and information. Someone recently contacted me about a version that works in EnCase v7, so I figured I would post the updated version for others. This version works the same as the version written for EnCase v6. It recurses through all the objects in the case and parses the $USNJRNL•$J file. 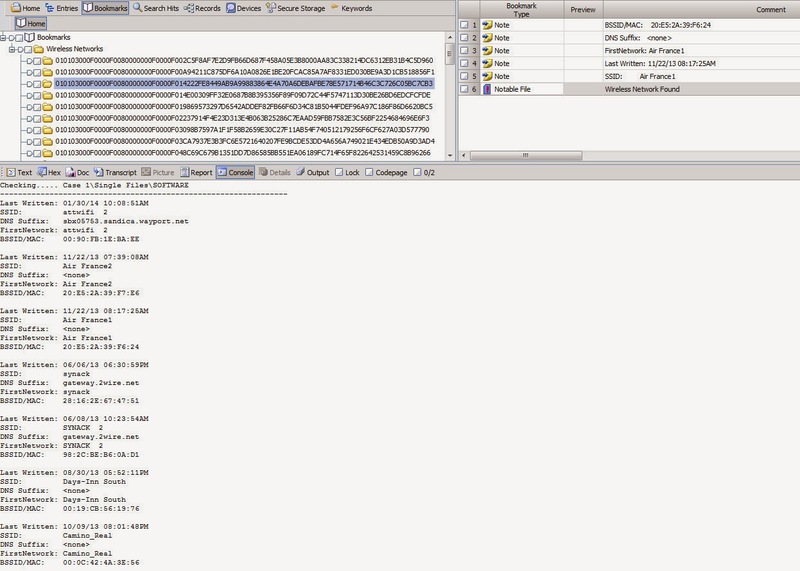 The parsed entries are written to the console as well as to a CSV file created in the case export folder. 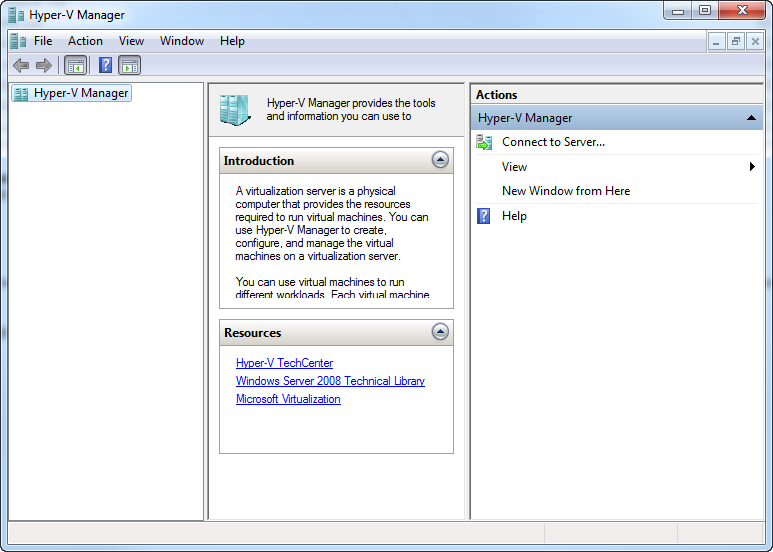 Hyper-V is Microsoft's visualization server software. It is very similar to VMware in that it provides a host allowing you to run several 'guest' machines on a single piece of hardware. When doing incident response/forensics, you may run into one of these servers and need to understand a bit more about how to deal with them. The stand-alone version of Hyper-V server is a complete operating system based on Windows 2012 core (current version) and can can be downloaded for FREE here. If the administrator is cooperative and not part of the investigation, you will want to leverage their knowledge about where the virtual hosts are stored and getting access to the server. The following information could be used to help verify what they are giving you is what you are expecting. If the administrator is not available, then you will have to do the steps below on your own. 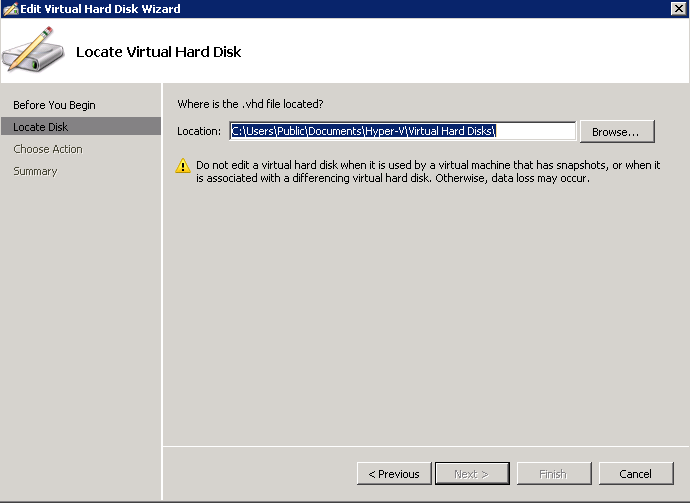 The first item is needed so you know what virtual disk files are associated with a specific virtual machine. 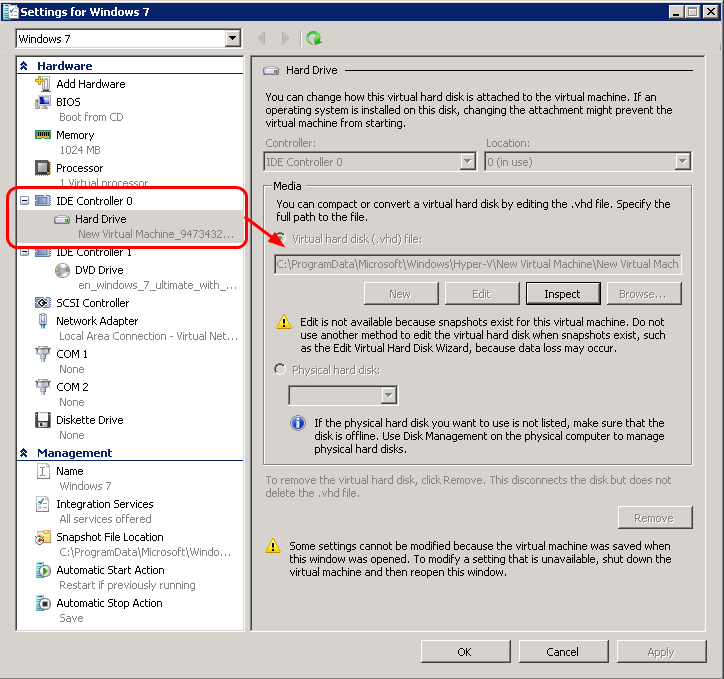 The easiest way to determine this is to identify the virtual machine of interest in the hyper-V manager and look at its settings by right-clicking and viewing the properties of the hard drive configured for the virtual machine. The important items to note is the path to where the disk file is stored AND if it notes that there is a snapshot in use. Pressing the "INSPECT" button gives a little more details and view to the path where the disk file for this virtual machine is stored. 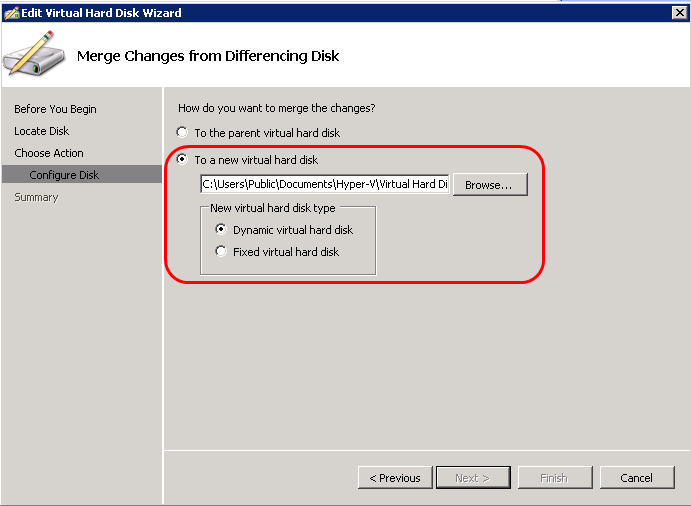 A "differencing virtual hard drive" is the terminology used for a disk that uses snapshot technology, allowing the administrator to save the state of the guest host at specific time and then revert back to that snapshot at some point. The reason this is important to know is the same reason when dealing VMware virtual machines. The snapshot data is actually stored in a different file and if you do not get a copy of that file, you will end up with a copy of the base system, but not with the data that represent the current state. 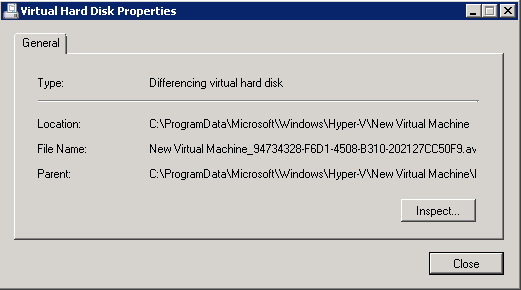 Hyper-V uses *.VHD as the extension for virtual hard drives. Snapshots are stored in a similar file with the extension of *.AVHD. Many Forensic tools can natively read VHD files, which is good. The complication comes in when there are snapshots (differencing files), which most forensic tools DO NOT know how to deal with them. 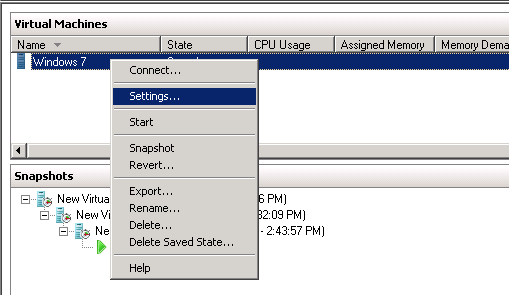 The Hyper-V manager has a feature named "merge" which allows you to merge snapshots into the base disk file.This feature can be used to apply the various snapshots to the base disk file (VHD) and you will end up with a VHD with all the snapshots applied. If there are multiple snapshots, its important to apply them sequentially one at a time. 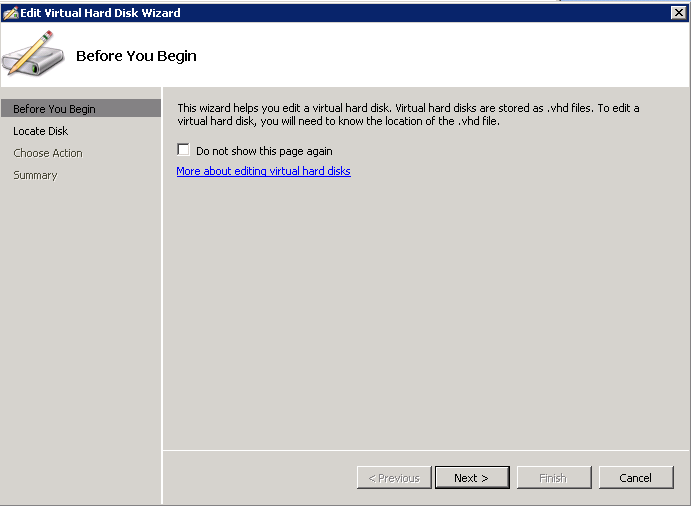 Once you select the "Edit Disk" option a wizard will open up asking you for which VHD or AVHD file to merge. 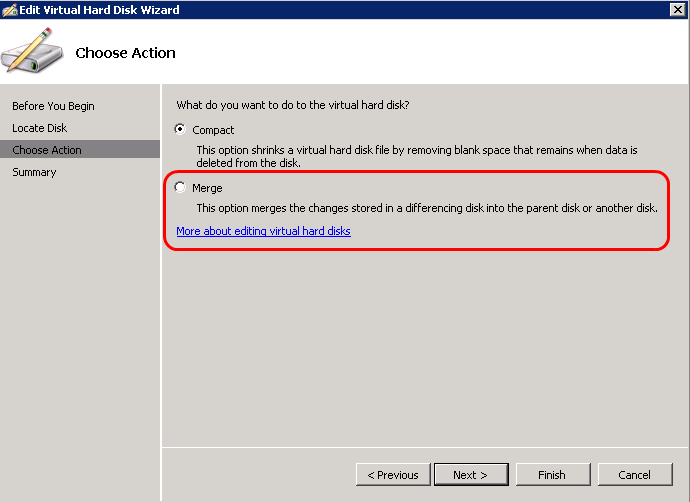 You want to select the OLDEST AVHD file and merge that into the VHD file. Then repeat with the next oldest AVHD file, etc, etc, until you have merged all the AVHD files. This can be done as a non-destructive process, meaning when you merge you can tell the wizard to merge a AVHD file and create a NEW VHD file from that process. My recommendation would be to create a new VHD, leaving the original one intact and allowing you to have various versions with the snapshots applied along the way, which can be loaded into your favorite forensic tools. Note: You will only get the "MERGE" option if you selected a AVHD file in the step above. If you select the VHD from the file picker dialog, you will not be presented with a MERGE option. Once you have merged all the snapshots into a VHD, you can then load that VHD into forensic tool that supports parsing VHD files and it will be displayed with the snapshots applied, in a state as it was when you encountered the machine (assuming the file system used by the virtual host is supported by the forensic tool). 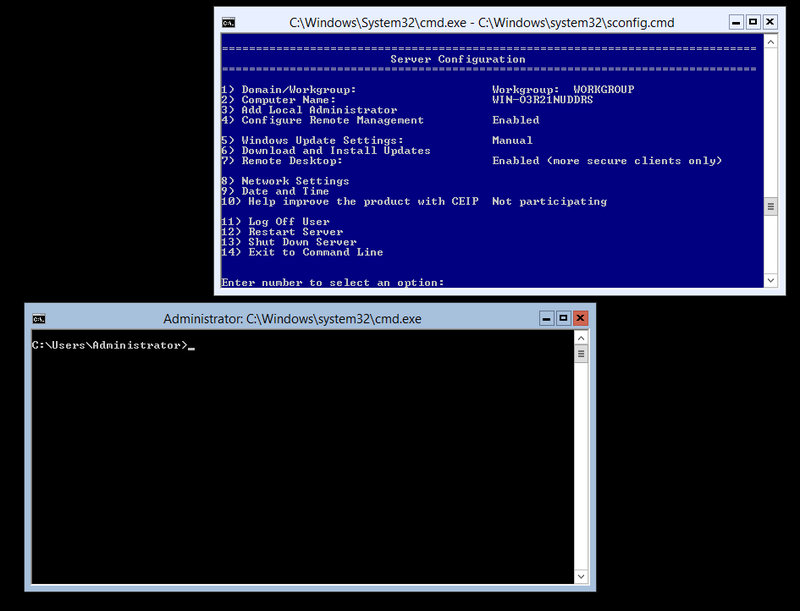 Alternatively, if you are comfortable with PowerShell, you can either locally or remotely use Hyper-V cmdlets to get all the information you need and even do the merging without using the Hyper-V manager GUI. You may also want to grab copies of the other files present in the same root directory as the VHD & AVHD files, specifically the *.BIN files, which is a saved version of the virtual host's memory. The XML file contains information about the virtual host's configuration, including how much memory it was allocated, etc. I wrote this EnScript awhile ago in order to quickly parse out the string resources inside an executable to assist in determining if it was suspicious. Most executables contain a resource known as "VS_VERSION_INFO". 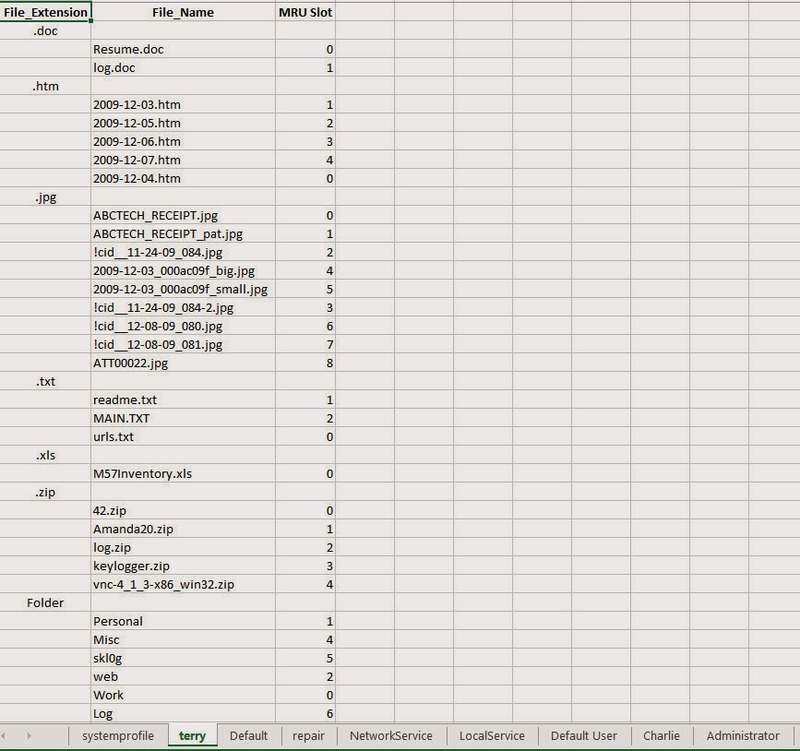 This structure contains metadata about the specific executable, including the manufacturer name, original filename, version info and other useful information. This EnScript specifically targets this resource instead of just running a "strings" search across the entire executable, which often leads to lots of noise. The information in this resource is what is displayed if/when you right-click on an executable in Windows and choose the "details" tab. 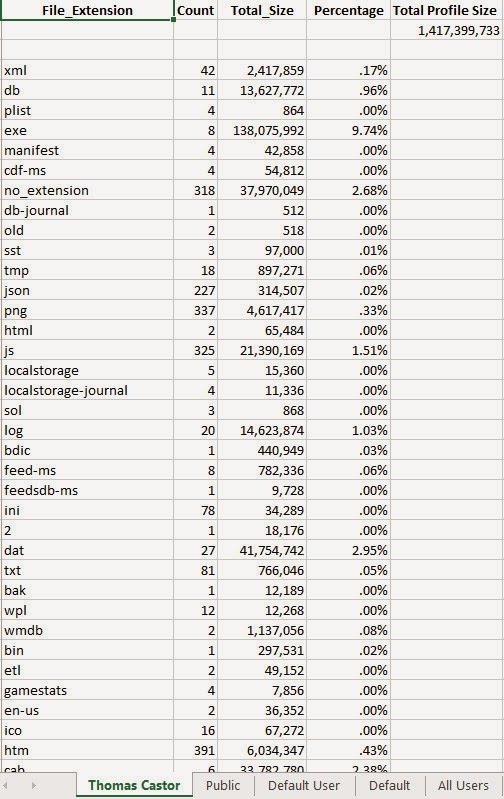 Looking at this information, while not authoritative or definitive, can commonly give you some initial hints about the legitimacy of a file and/or if it has been renamed from when it was originally compiled. This technique goes way back when I wrote the EnScript to extract the embedded icons in an executable. 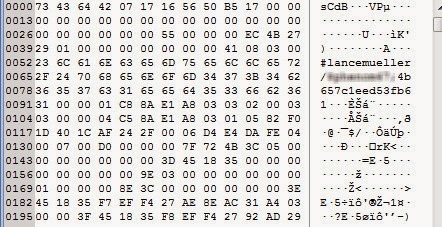 Since EnCase does not show you a graphical representation of the embedded icon, which could be quickly identified or recognized regardless of the filename, I wrote that EnScript in 2005. 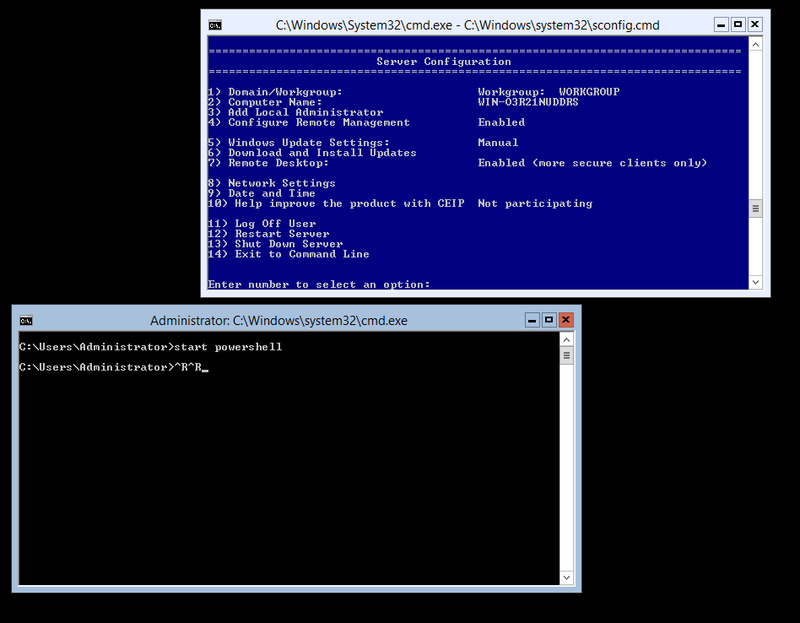 To use, simply check the executable you want to parse and run the EnScript. Each file will get its own bookmark and the formatted text will be displayed in the console tab. It has been nearly seven years since I posted an EnScript to import hash values from a text file and create a EnCase v6 hash set. That EnScript still remains popular to this day. 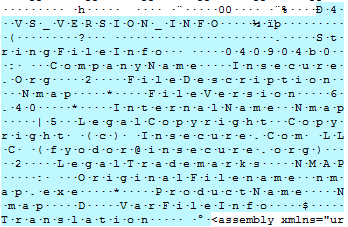 The EnScript linked below was written to basically do the same thing for EnCase v7. 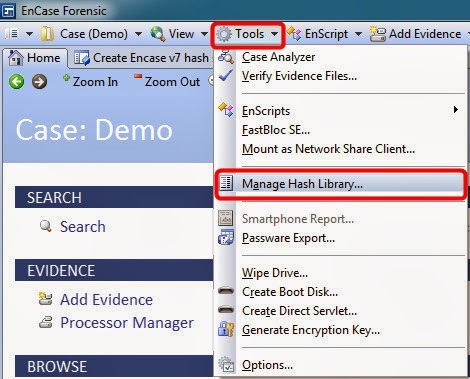 The hash values in EnCase v7 are stored completely different than in v6 and while I had to create the hash sets in EnCase v6 from scratch, EnCase v7 includes an EnScript API to create the new hash set using the new format. 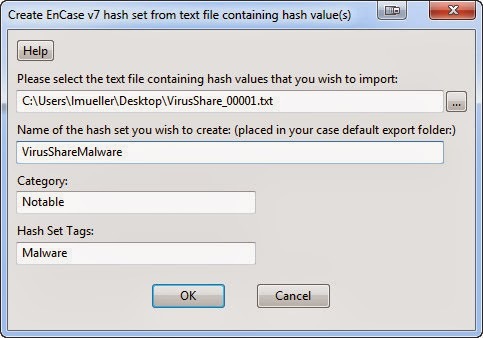 It still surprises me to this day though that EnCase does not have a feature to import a list of hash values into a hash set from a simple text file. 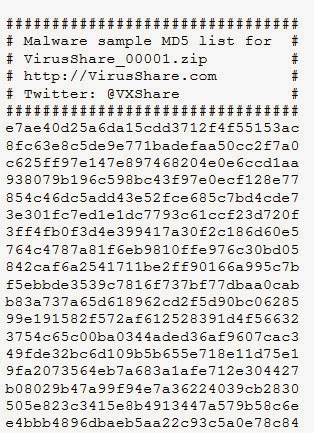 So many examiners and incident responders obtain plain text files that contain hash values from 3rd party tools and commonly don't have the original file, especially with malware databases like Virus Total and Virus Share that provide hash values but you don't necessarily have the file itself to obtain the hash value on your own. The order of the fields are not important, they can be in any order. The delimiter can be a space, tab or comma and there should not be a header row with field labels. The EnScript was designed to read/parse an ANSI text file. The lines above with the '#' are automatically ignored. The above example is a text file that contains the MD5SHA1 that was extracted using AWK. 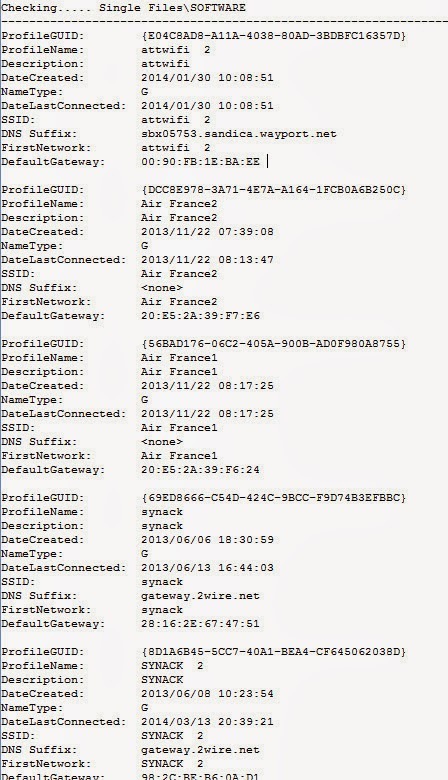 Specify a name (it will be the name of the directory created that contains all the hash indexes as well as the name displayed inside the EnCase Hash library Manager), Category and a Hash Set Tag.